From general consulting to a dedicated IT department, your individualized solution will be designed around your budget and your needs. We understand that you don't operate the same as every other small business. We customize a solution to fit your particular needs. Bring on our experienced team to help you navigate the myriad of options and plan your individualized solution. Proactive and as-needed, remote support for your computer, network and cloud services. Demonstrating our successful business model, through our ongoing partnership with our clients. Each of our technicians has been working in the IT industry for more than 20 years. We have experience with the systems you already use and those you could be using to improve your processes. We are on your side with vendors across the table. We work for you. Remotely or on-site, we quickly diagnose your problems and get you back to work on your business tasks. Including email migrations, virus & SPAM filtering, and account servicing. Proactive maintenance and monitoring of systems and resources. Total network security solution with cloud managed Anti-Virus, and Anti-Malware protection. We specialize in SonicWall services, rated as ‘Recommended’ by @NSSLabs for Security Effectiveness and Low Total Cost of Ownership. Ensure business continuity through scheduled backup of critical data and restoration in the event of data loss through regular on-site and off-site backups. Network and server design and deployment, and existing network optimization. Managed and full-featured phone systems. Be “at the office” from anywhere with an Internet connection. Never worry about having your patches up to date again. Let the experts ensure that your Windows and non-Windows patches are up-to-date. Each of our techs has at least 20 years of experience working in the IT industry. Most of those working with small businesses. Our techs are easily available to provide personal support. Our clients have access to direct cell phone and email contact information. Every task we perform is guaranteed to your satisfaction. 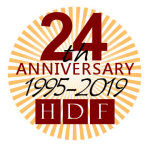 HDF has been supporting clients since 1995… and we are honored to still support the Association of Jesuit Colleges and Universities. Let us evaluate your needs against the promises and hype that surrounds the cloud, and help you decide where each of your operations should reside. For the past nine years, I have known Davis Feickert as a colleague and friend through his consulting work for the Association of Jesuit Colleges and Universities. Davis has extensive skills related to IT, web development and infrastructure, and has delivered expert and timely solutions to all our issues and needs. To top it off, he is a delightful person with excellent customer-service skills. I am very pleased to recommend him! As the COO of UPCEA, I worked with Davis for over six years. He is professional, timely and customer focused. He is good at problem solving and coming up with fiscally responsible solutions. He became a valued partner to our team. Dibby Johnson - Staffing Consultant with nonprofit and digital agency experience. Davis has all of the attributes of a phenomenal IT service provider. He listens in order to understand what you think you need, then helps you understand other available options. He’s also very cost-conscious and always great to work with. We rely completely on Davis and his staff for all of our IT support.